The international market for biofuels is growing, driven largely by the introduction of new energy policies in Europe and the USA that call for more renewable, lower-carbon fuels for transport. Sustainable biofuels are expected to play an increasingly important role in helping to meet customers’ fuel needs and reduce CO2 emissions. Shell has a 30-year history of biofuel development and investment. The production, purchase, trading, storage, blending and distribution of biofuels are part of our everyday business. We are one of the world’s largest distributors of biofuels, and we continue to build capacity in conventional biofuels that meet our corporate and social responsibility criteria. In 2011, Shell and Cosan launched the Raízen biofuels joint venture (Shell interest 50%) in Brazil for the production of ethanol, sugar and power, as well as the supply, distribution and retailing of transport fuels. With an annual production capacity of more than 2 billion litres per year (35 thousand barrels per day) of ethanol from sugar cane, Raízen is one of the world’s largest ethanol producers. The deal marked Shell’s first move into the mass production of biofuels and its first full year of operations. In 2012, Raízen contributed over 10% to our 2012 oil products earnings. 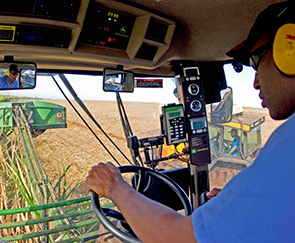 Ethanol produced from sugar cane in Brazil is the most sustainable and cost-competitive of today’s biofuels. It can reduce net CO2 emissions by up to 70% compared with gasoline. We recognise the sustainability challenges associated with some biofuels and are working to ensure that the feedstocks and conversion processes for the biofuels we purchase today are as sustainable as possible. In 2007, we introduced environmental and social clauses into the contracts for the bio-components that we purchase for blending. And we monitor how well our suppliers adhere to those clauses. We are also working with non-governmental organisations, policymakers and industry coalitions to develop and promote robust global standards for ensuring the sustainability of biofuels production. Advanced biofuels, which are based on new conversion processes for feedstock such as crop waste or inedible plants, offer the potential for improved CO2 reductions and improved fuel characteristics. Shell was one of the first energy companies to invest in advanced biofuels and we continue to invest in them. They will take time to reach commercial scale and government support will be required to accelerate their speed of development. We have dedicated biofuels research teams and research agreements with experts in leading academic institutions across the world. We also have technical partnerships with leading companies exploring new technology platforms for the production of advanced biofuels.